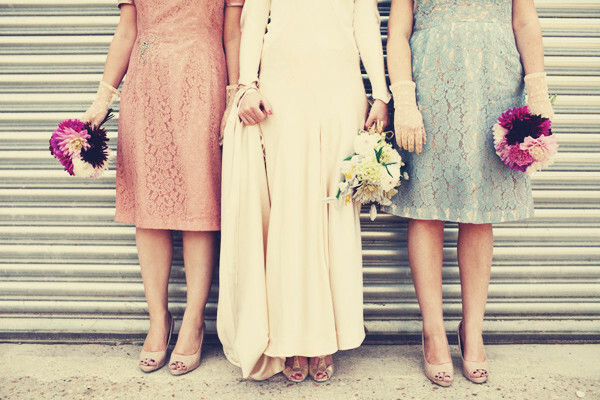 2013’s bridesmaids are destined to be fabulous! 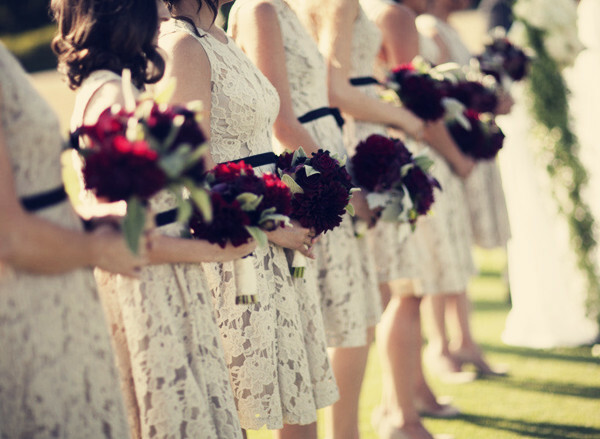 Brides become more and more open minded and confident when selecting the pretty dresses to create standout bridesmaid looks! With popular trends like vintage and rustic weddings on every corner it was only a matter of time before brides started involving their maids into the trend. Brides have overturned the need to humiliate their ladies in awful colors, bows frills and random styles and gifted them with stunning dresses that they will not only feel elegant in, but can actually wear again and again. One fad, which is taking the bridal scene by storm is lace, the fabric that the bride usually adorns herself in has now been handed to her ladies. 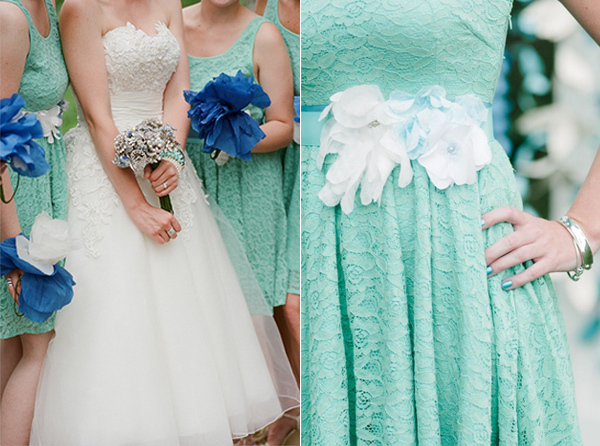 Not only does the fabric compliment the brides, but it can look fabulous when used in the right color of style. 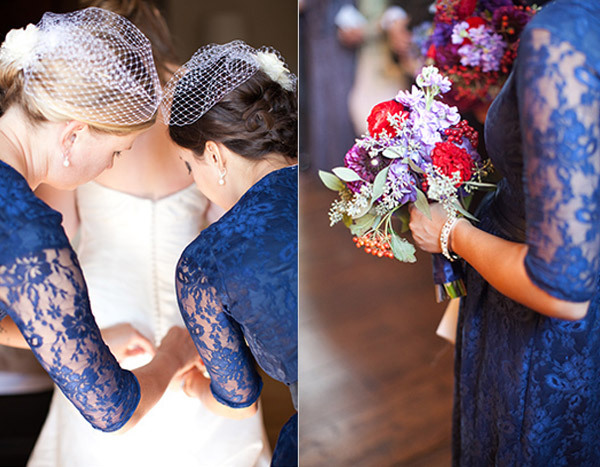 Portrait backs, scalloped edges and pretty sleeves are just a few of the styling details found on the bridesmaids rack. So why now you may ask? Well it all comes down to fitting in with the style and theme of the wedding. 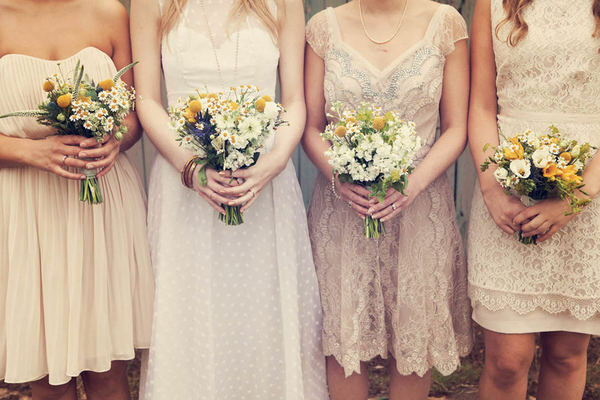 Brides love the idea of rustic country farm venues and authentic vintage looks and lace is a perfect way to embrace it includes dressing your maids in it. 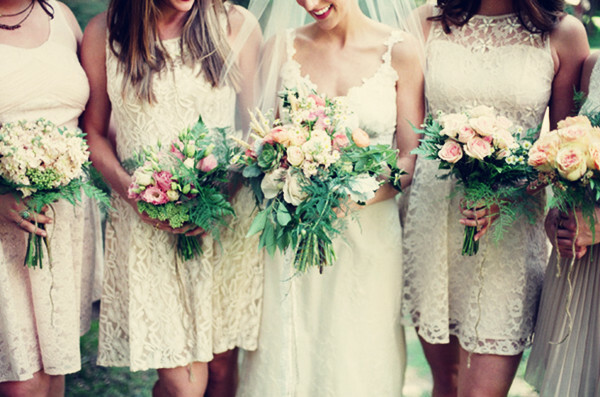 Lets take a look at some of the ways you can incorporate lace into the wedding in multiple colours. 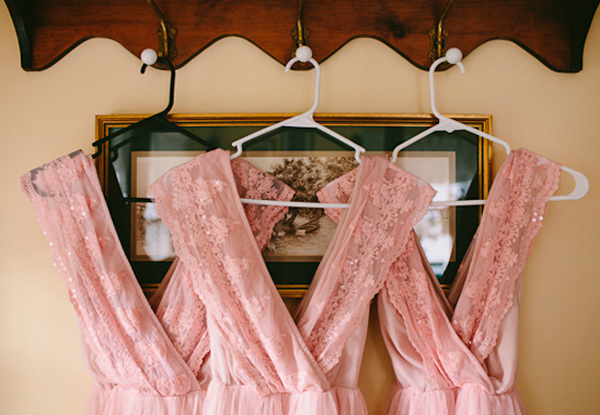 Mis-matching lace bridesmaid dresses are also a cute idea. 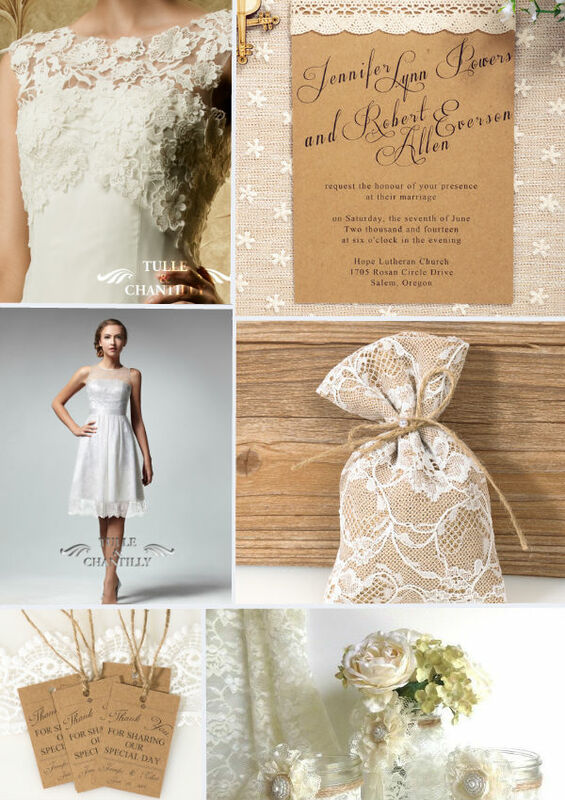 Except from lace bridesmaid dresses, your bridal gown, reception decorations and favors cannot miss out the usage of lace which is sure to make your wedding incredible. 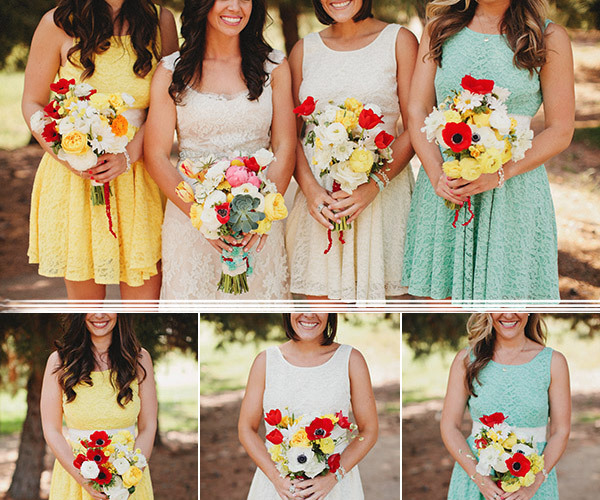 Nowadays the lace wedding bridesmaid dresses are very popular choices for most designers. In addition a fabulous wedding dress deserves an equally fabulous pair of shoes. 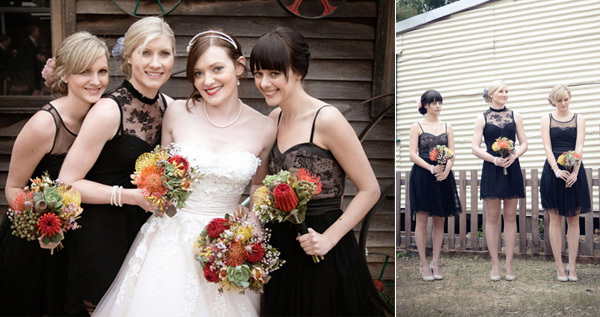 The bridesmaid dresses are available in so many styles and designs. 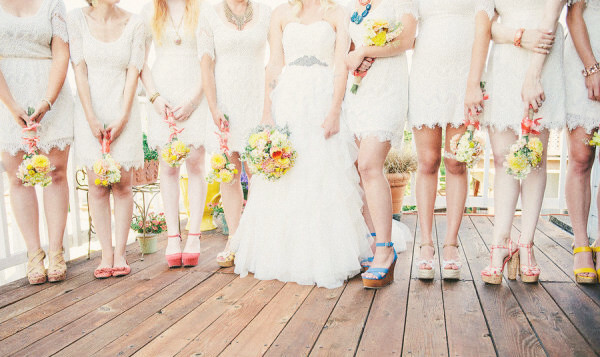 Can you PLEASE tell me where I can get the lace champagne short bridesmaid dresses w/ the blue shoes??? I love them. 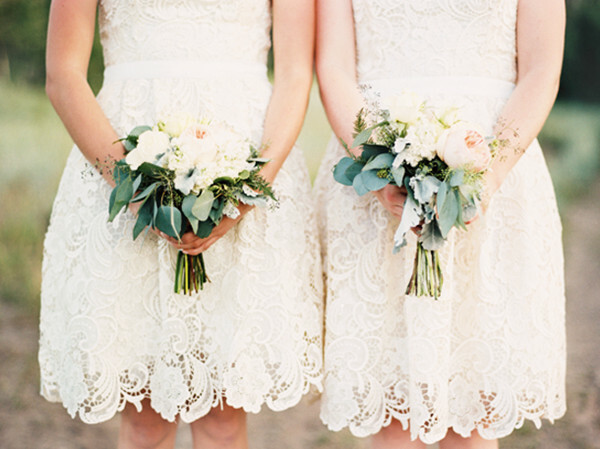 How much are the mint lace bridesmaids?? And is there a link with different colors in that style and a place to order? LOVE them! Thanks! 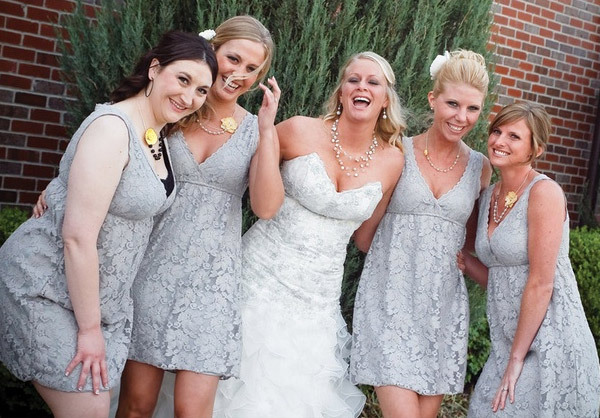 You can get these bridesmaid dresses here since we provide custom made service. For more details plz contact us at [email protected].